Our practice is accredited by the Royal College of Veterinary Surgeons Practice Standards scheme, so you can be sure that we work to high standards of care and protection for our clients, both human and animal. There are many categories of RCVS accreditation, depending on the type of practice and services offered. 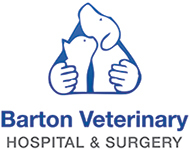 Here at Barton Veterinary Hospital & Surgery, we hold RCVS Small Animal Veterinary Hospital accreditation, which is the scheme most appropriate for us. These standards are specifically for practices like us because we treat small animal patients. What is RCVS Veterinary Hospital accreditation?